Whether you are needing a place to celebrate your wedding, rehearsal dinner, dance, fundraiser, field trip, or need to earn a merit badge, Le Bocage's barns and grounds provide a beautiful facility that is out of the ordinary and sure to please your guests or members. All events begin with an appointment to view and discuss the facility and options available for your event. Events are quoted based on a detailed plan that must be submitted in advance. The detailed plan must be submitted with a sketch depicting placement of tables, tents, or any other extras needed for the event. A contract is required, and all events must follow the Fire Marshall's guidelines, as well as Le Bocage's policies to insure a safe and fun experience for all. Depending on the type of event, an insurance certificate may be needed. You will be provided with a quote after submission of your plan. It's as easy as that! Call Amelia Stratman or Kealy Stelly at 337-905-JUMP (5867), Opt. 2. Bridging/Award Ceremony - $399.00 for Troop up to 20 girls (See Pony Parties for additional costs and games) - Saturday and Sunday only. Call for available dates and times. 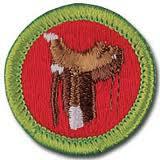 All patches are included in the above costs. Prices are non-refundable and subject to change. 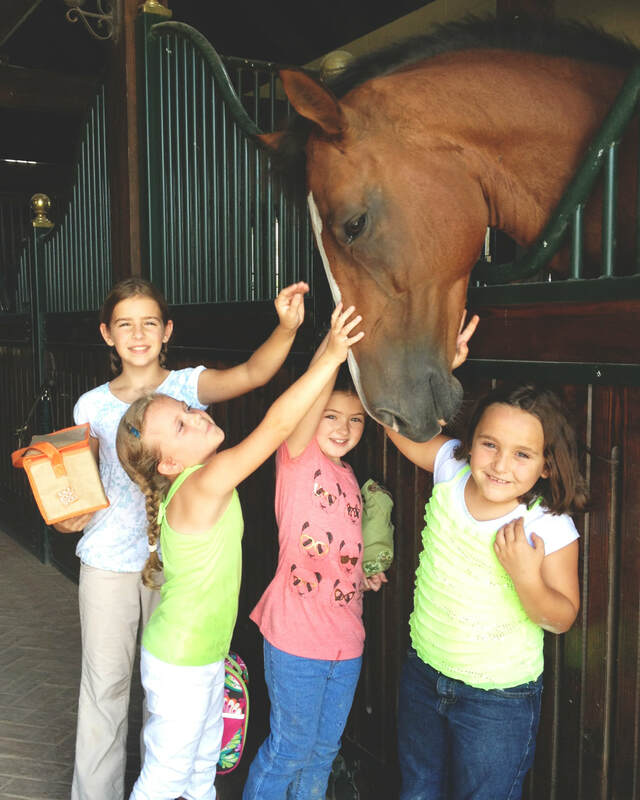 Call Amelia Stratman today at 337-905-JUMP (5867), and select the camp and pony party line. Field trips are always a fun way to get away from the ordinary routine of your group's day. Bring your group to our beautiful facility. We offer a guided tour of how a professional riding facility is managed. Meet our friendly staff and enjoy the beautiful horses. Talk to us about adding an equestrian demonstration that your entire group will enjoy. Field trips require advance scheduling with details of the age group and expectations for the members attending. Children must be watched carefully by adult chaperones. A concession stand and gift stand can be provided at your request. Charges may apply. Call Jeanne Dennis or Amelia Stratman today at 337-905-JUMP (5867) and select the camp and pony party line.